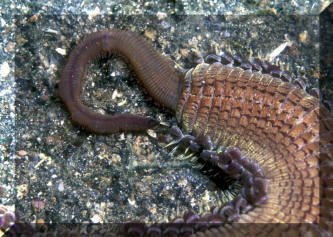 Amphinomid... Fireworm of the family Amphinomidae. If it's not visually obvious where these worms get their common name, you'll understand if you handle them! 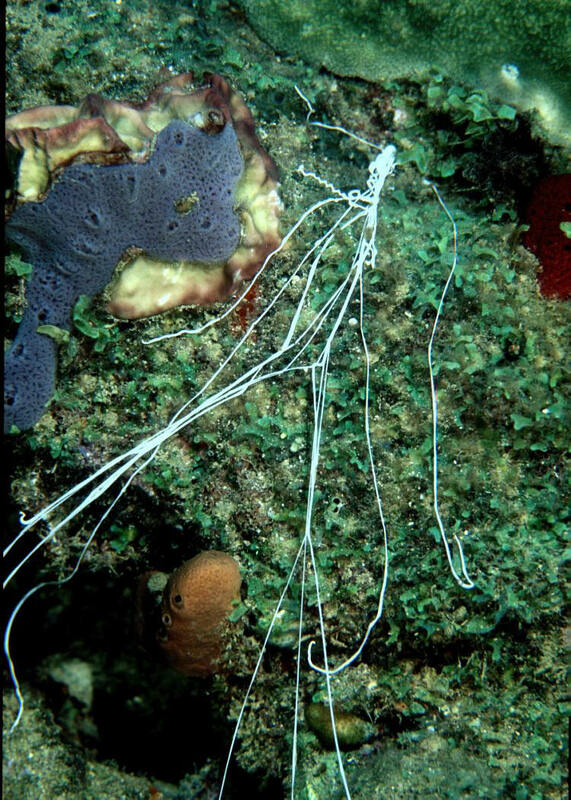 The bristles attached to their noto- and neuropodia are sharp and hurt like no tomorrow to get stuck by. Ouch! This one out and about at night in N. Sulawesi. Eupolymnia crassicornis (Schmarda, 1861), Spaghetti Worm. Here in St. Lucia. 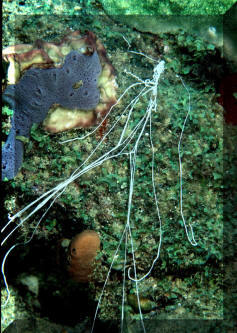 Eupolymnia crassicornis (Schmarda, 1861), Spaghetti Worm. TiffB pic in Roatan. Bispira brunnea, Social Feather Duster Worms, Family Sabellidae. Come in whites, pink, purple and brown-banded varieties/colors. Group in the Bahamas.